Who Owns Your Lake Shoreline? 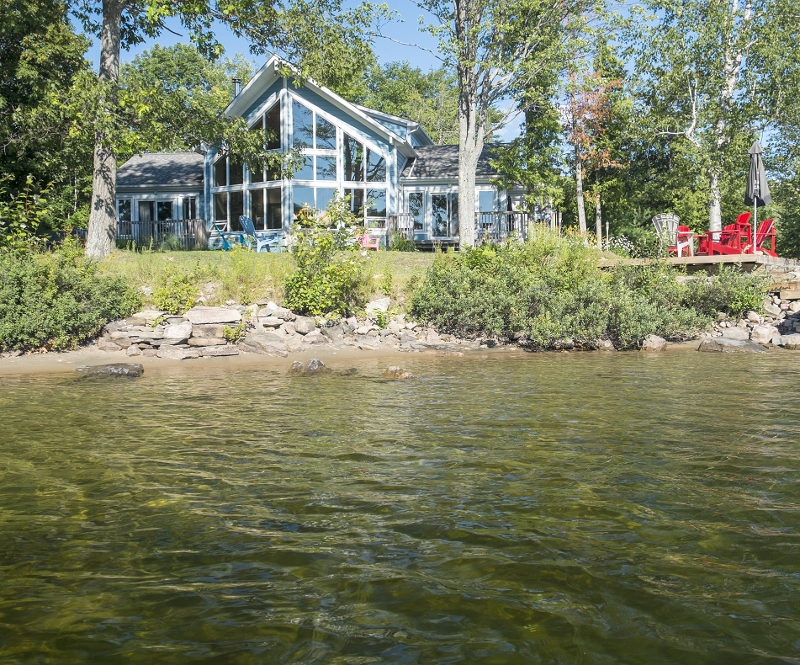 Having property on a lake is amazing, but when it comes to the shoreline someone else, depending on the situation, may own it. 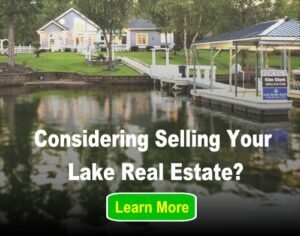 Before purchasing a home on the lake, make sure you ask about shoreline ownership. For instance, some properties entitle you to use the water, but not construct a dock or other structure by the shoreline. At times, power companies build lakes; this means that the company owns the lake. However, they may allow the land around the lake to be sold or leased. Many times these leases are for long periods of time – such as 100 years (more on that later). Usually these lakes are allowed to be utilized for recreation, but it typically comes with certain restrictions to be followed by the homeowners and visitors. Say there is a large acreage property with a lake on it. If the lake is on the land completely, then the owner of the land also owns the lake. It is considered to be private property and the owner can do as they wish with the lake. There may be another instance where the land the house is on continues into the water, but does not encompass the entire lake. The real estate agent will make you aware of where the property line would be. This will help you decipher where you can build your dock. The Corps owns and operates over 200 locks and dams throughout the United States, and many instances own the lake, the shoreline, and the property in the immediate area. Although on some lakes property can be sold for private ownership and use, there are other lakes in which no private construction or ownership is allowed. In these instances there are still usually Corps owned public boat ramps so that people can still enjoy the lake by boat. There are also usually public campgrounds and nature areas. As mentioned before some entities, like power companies, offer leased lots. These leased lots can be confusing to those who do not have experience dealing with them. Lakes have been known to be passed down with as high as a 100 year lease. It will depend on who or what establishment is taking over the lake. The responsibilities are passed down with it. It is almost a hybrid between an inheritance and leasing agreement, and many times if a lease returns to the original owner they retain possession of everything, including any improvements you made such as building a house or a dock. 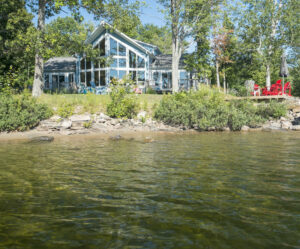 Before purchasing a home on the lake, ask your real estate agent about the shoreline. Any lake expert agent will be able to tell you who owns the shoreline and what restrictions may be in place. Ensure that you follow all the rules when it comes to the shorelines if you do not own them, as you will encounter fees. Just keep in mind that if the shoreline is included in the property, it could raise the price of the home. Can any one please tell me anything about my father’s Cabin at Timber Ridge North of Gainesville, GA. My father’s name was Tom Brown Morgan. He had a 99 year lease from the Corps of engineers. I would like to know the status of the leased land. He built a cabin on this property in or about 1972. I am very interested in leasing this property again if I could. My father passed away in 2013. Thank you very much for your help in this most important matter. This means a great to me . Thank you very much. We are getting your info to one of our Lake Lanier agents, who will be in the best position to try an help you with this particular question. If you need additional help, please email us at clientservices@lakehomes.com or give us a call at (205) 986-2991.